The University of Chicago is a nationally recognized leader in innovation and research with over 140 institutes and centers, and is ranked among the top 50 universities in the nation for life science expenditures. The life science research market opportunity was estimated at over $390M in 2016 and is growing rapidly. - Ludwig Cancer Research gifted $90M to the University of Chicago for research on cancer metastasis. - The March of Dimes awarded $10M to support a collaborative project between the schools of medicine at the University of Chicago, Northwestern University, and Duke University. - A $6.25M NIH grant will be shared among Chicago researchers, including those at the University of Chicago and Northwestern University, to establish a new HIV research center. 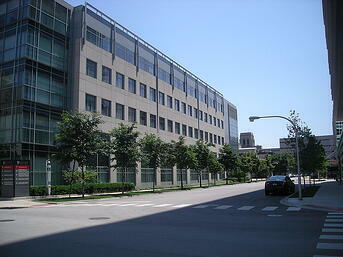 - University of Chicago oncology researchers received a $5M donation to boost cancer research. - A $3.5M gift was given to the University of Chicago's School of Medicine to further support leukemia research. 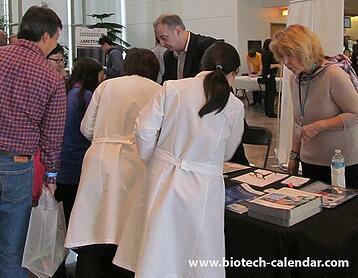 (Image Courtesy of Biotechnology Calendar, Inc.). Last year’s event had over 180 attendees, 29% of which were decision makers. Don't miss the opportunity to meet with Chicago researchers with purchasing power this fall!